The position of the church is strategic becouse it’s placed at the intersection of the blocks side where romanian citizens are living, and the vilage side where the serbian citizens generally live. The baptists got their names from the baptism practice, as mentioned in the New Testament’s teachings. The greek word for baptism is ,,baptizo” and it means ,,sinking”. The baptism it’s done in the name of the Father, the Son and the Holy Spirit, by sinking in the water and precedes the conversion to christianity. The baptists belong to the protestant movement in the christian tradition from the sixteenth century and they consider themselves as followers of the evangelical tradition. They maintain the Reform principles: Sola Scriptura, Sola Gratia, Sola Fidae, Soli Deo Gloria. The first congregation with the name of the baptist church, appeared around the year 1609 in Amsterdam and it was formed by english emigrants. In Romania, the first baptist church was set up in year 1856 in Bucharest, with the help of the german baptist church mission. 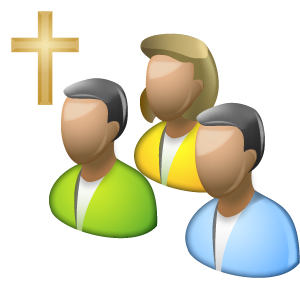 The baptists belive and confess the fact that God is revealed in three Persons: Father, Son and the Holy Spirit. They also belive, every Person Who forms the Holy Trinity is Himself God, although there is only one God. The baptists belive and confess the devine and human nature of the Lord Jesus Christ; His birth of the virgin Mary; His death made with the purpose of redeeming the humanity; the fact that He resurrected from the deads after three days in a glorified body; He was received up into heaven, He sat on the right hand of God and He waits for the time when He will come back in glory on Earth; the resurrection of the just and unjust and the glorious manifestation of God’s Kingdom. Baptists belive and confess the fact that the Holy Spirit is the third Devine Person, and He iluminates and convince the human being of his sin and righteousness; He produces the born again by the Holy Scripture’s Word and the continuous sanctification process; He is helping belivers to become true followers of Jesus Christ. The baptists made their point in the history, fighting for every human being’s freedom of religion. The freedom of religion is inalienable and irrevocable and no other freedom is safe if religious freedom doesn’t exists. the freedom to belong or to change a religious cult. The baptists belive and militate for a free church in a free country.